January 15, 2019 • 1200 × 1102 • Happy 2019! 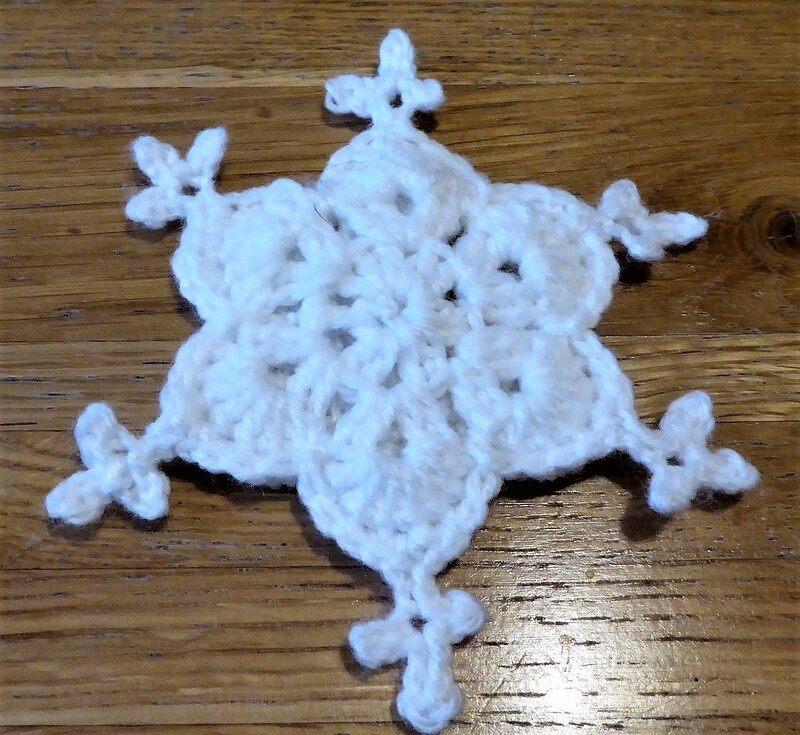 Designed my own snowflake pattern based on adapting the African Flower Hexagon. Didn’t like it in plain white yarn – too clumsy.